This Allure sink tap in L-Size and with its smooth tap body in GROHE StarLight chrome comes from the GROHE SPA-series. 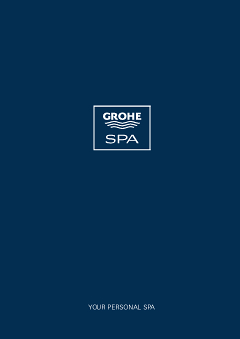 A series which includes the luxury collection from GROHE and gives you the feeling of a SPA. This tap is grabs your attention, even though it's made with sleek minimalism in mind. That certainly has to do with its performance. The aerator from the tap has been concealed in the spout, while the GROHE EcoJoy technology guarantees a decrease in water usage, but a perfect spray. Controlling the tap always goes smooth and supple. Thanks to the GROHE SilkMove technology, temperature and water flow can be set very accurately. This tap meets your high standards regarding design, technology and ease of use. Its entire life.